Google claims that half of all web traffic now comes from smartphones and tablets, while location-related mobile searches have grown 50% faster than all other queries on mobile meaning marketers must reassess how they use mobile to add a local element. The company said that almost one-third of all mobile searches are related to location. This has led the tech giant to upgrade its ads, with a key change being to launch ads in maps, allowing marketers to target consumers through local areas. 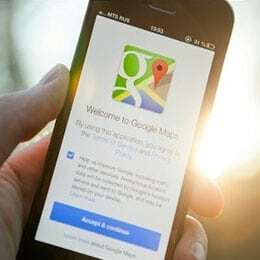 According to Ramaswamy, Google Maps will provide “more branded, customised experiences for businesses” aimed at helping brands gain more store visits. Customers can also expect to see ‘promoted pins’ for businesses in their local areas, including coffee shops and stores, which can provide bespoke special offers. Google is also updating AdWords to make them more relevant on mobile. Google said it will also provide more ad space for brands so they can showcase more product information and services. Marketers will be able to decide what type of devices they advertise on and “optimise with greater precision” to ensure advertising is consistent across devices. Want to know more about location based marketing on Google? Begin a conversation with SMP today!